Stay tuned for upcoming events for Global Village in near future. Global Village is Dubai’s leading family entertainment and cultural attraction with a unique shopping experience at 32 pavilions each representing a different country. 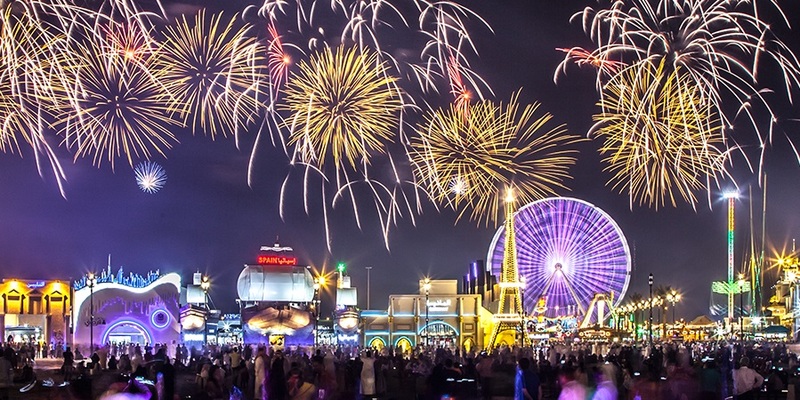 Global Village also offers a variety of dining options from different cuisines, along with thrill rides and children rides at the Fantasy Island. Launched in 1997, Global Village was first based on the Creek side then Oud Metha then Dubai Festival City, until it found a permanent home in 2005 on Sheikh Mohammad Bin Zayed Road Exit 37. We accept payments online using Visa and MasterCard credit/debit card in AED and USD. World Events Management Services LLC / eTicketing.ae is a DTCM (Department Of Tourism And Commerce Marketing) Approved API Ticket Seller. We offer DTCM Event E-Permit Services, DTCM Barcoded Tickets Printing Services, DTCM Events Online & Offline Ticket Sales, Event Day Ticket Sales Setup with POS & Ticket Validation Services using Ticket Scanner Devices. Copyright © 2015-2019 - eTicketing.ae. All rights are reserved. Best Viewed at 1024 x 768 pixels and above. This Page loaded in 0.0614 seconds on Fri, Apr 19, 2019 (06:27).